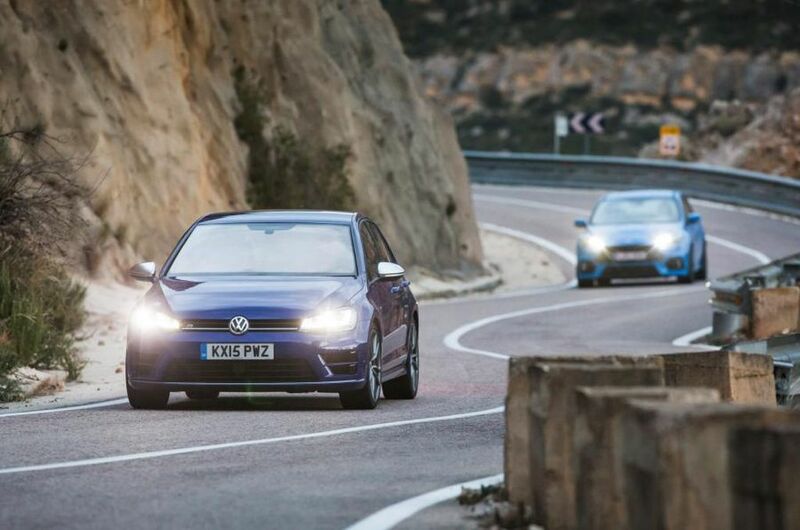 We pitch ‘the new hot hatch king’ against its Volkswagen counterpart, but what splits them apart? Yes, you’ll already know the Ford is brilliant if you’ve visited or read Autocar in the last week/three weeks/six weeks (delete as applicable). 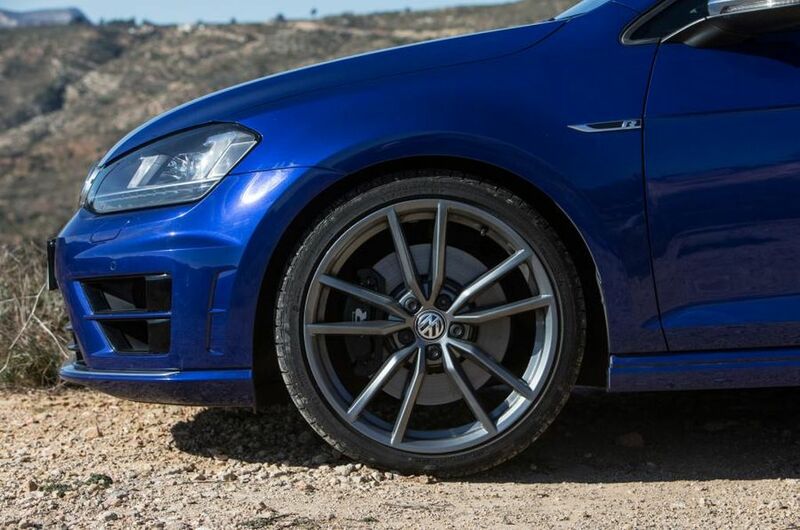 But a Golf R is anything but second-rate. Some people might put money on this being a foregone conclusion. I’m not one of ’em before I start, and even less so when I arrive in Valencia. And that’s where the differences in their four-wheel drive systems will play their part. Tech bit approaching: VW’s 4Motion system has a longitudinal clutch to divert power to the rear wheels. 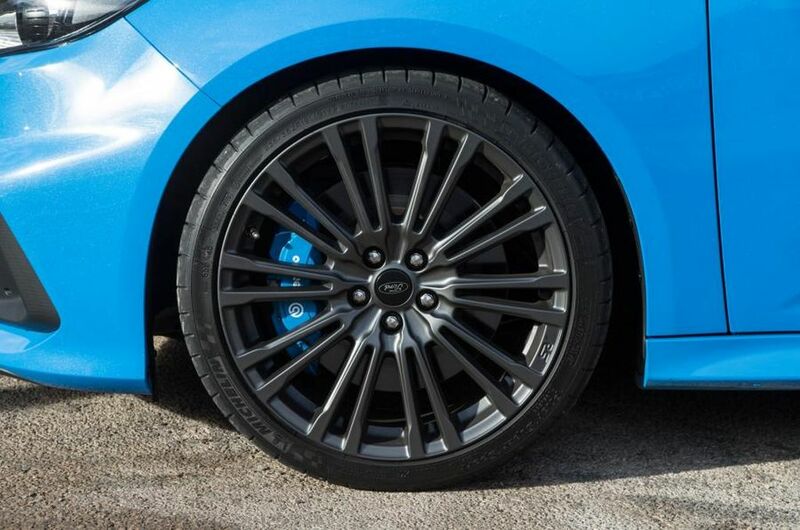 Theoretically, it’s possible to send 100% of torque back there, but you’d have to have the front wheels on a wet bathtub before the Golf decided the rears were the place to put all the torque. 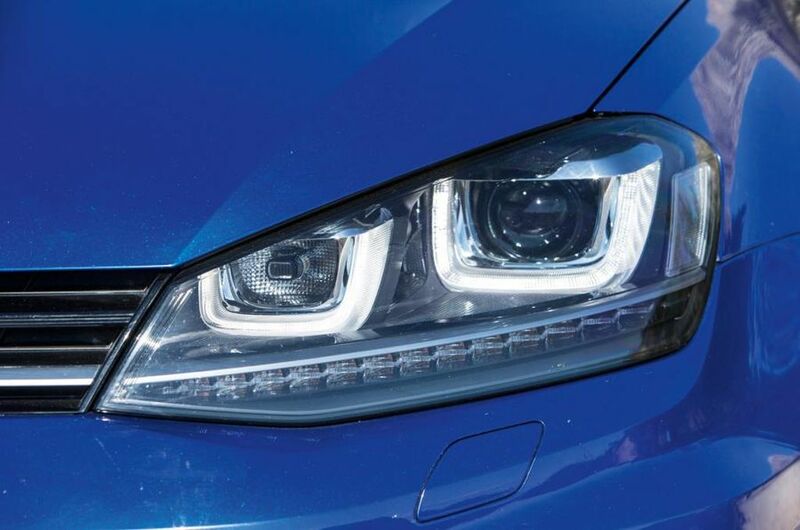 Most of the time, the Golf leads from the front and shuffles power to the back when it wants, and there is a suite of electronic systems that use the stability control system to divert it when it gets there – by pushing power, say, to the outside rear wheel by braking the inside one. We know it’s a good system and we know it pre-empts your corner exit by preparing to send torque to the back even as you turn in. I’ll remind myself how good it is when we get to the same set of corners as the Focus. 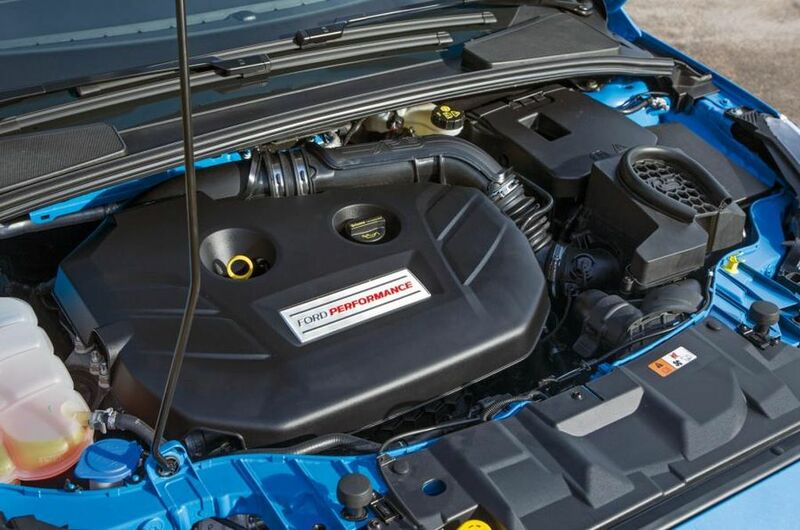 The Ford comes with the promise of more mechanical systems in its armoury. 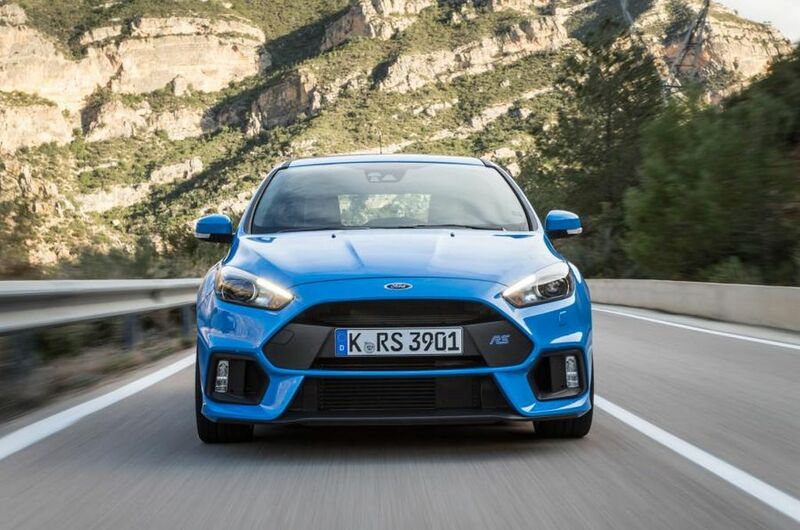 Unlike the VW, power is always pushed to the Ford’s rear axle – 70% of it – and it’s from there, where there is an electronically controlled clutch pack each side of the rear differential, that electronics decide how much power the rear axle will use. All 70% of the power can to go to the rear wheels, and up to 100% of that to either side, although most of the time, by slipping and shuffling, it sorts things rather more evenly. 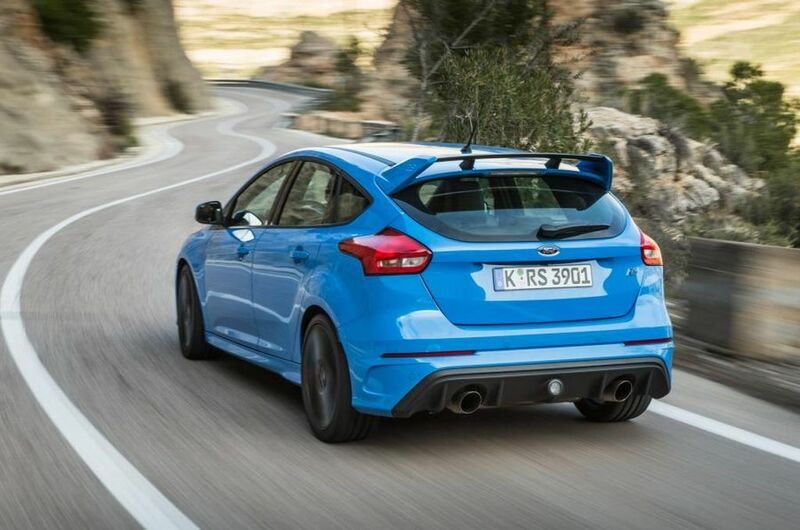 Significantly, the focus is on a dominant rear rather than front axle, though. The Golf is the other way around. Will that matter? It might. Inside the Ford, there isn’t so much to get excited about as there is outside. There are Recaro sports seats, but they sit you high – too high for our testers – and a smaller wheel reach than in the VW means you have to tip the seatback fairly upright. Pedal spacing and the gearshift are still good, though; VW and Ford are both manufacturers who do this sort of thing well. 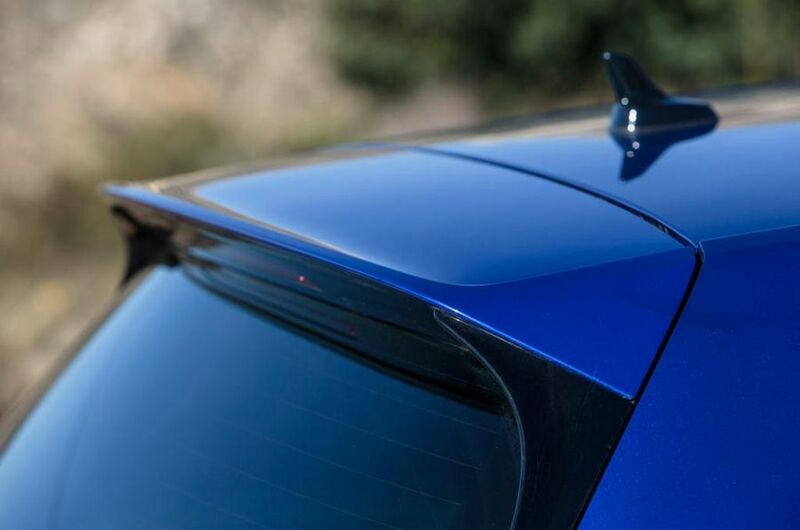 Ergonomically and in terms of perceived quality, the rest of the Focus’s insides give best to the Golf’s, but that’s no great surprise. It might be an issue in a comparison of cooking diesels, but not here, where what matters rather more is the way they go down the road. And the Focus is fast. Both cars are plenty quick enough, in all honesty, but the Ford’s extra capacity gives it a more urgent response from low revs. There’s analogue feedback from its engine, too: an exhaust that cracks and bangs on lift-off (antisocially so as you move up the drive modes). 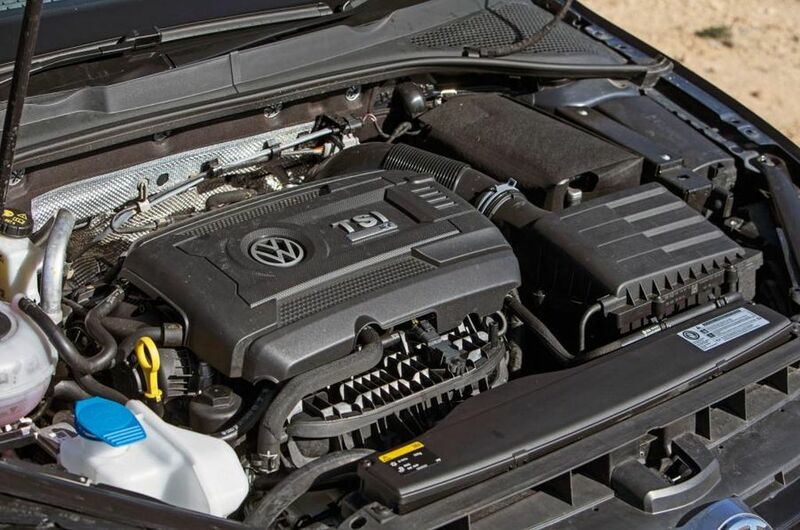 The VW’s sound – although far from a bad one – comes mostly from a sound symposer near the base of the dashboard. 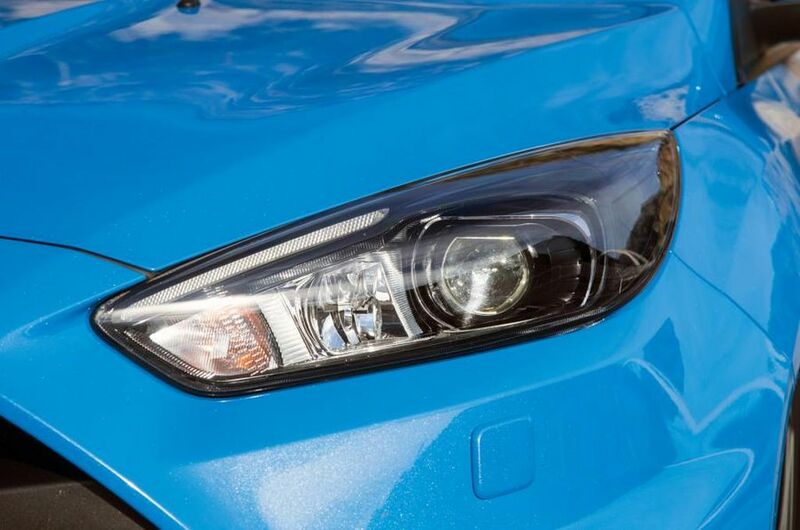 If it sounds slightly synthetic, that’s because it is, whereas the Ford is more visceral – more honest. But none of that is the big difference between the twocars: not sound, not steering, not power, not driving position and not interior. 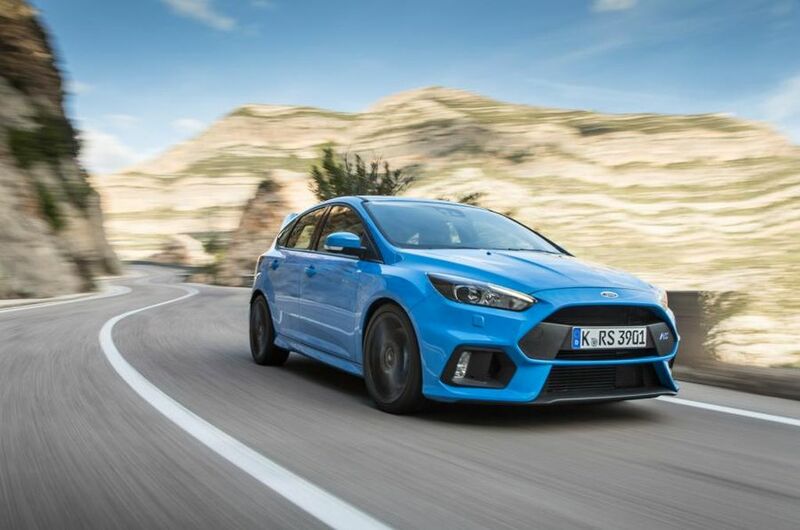 The marked difference between the Focus RS and Golf R – the marked difference between Focus RS and anything else, not just in its class but also in several classes both above and below – is the way the Ford goes around a corner. The Golf steers and corners ably, you understand. 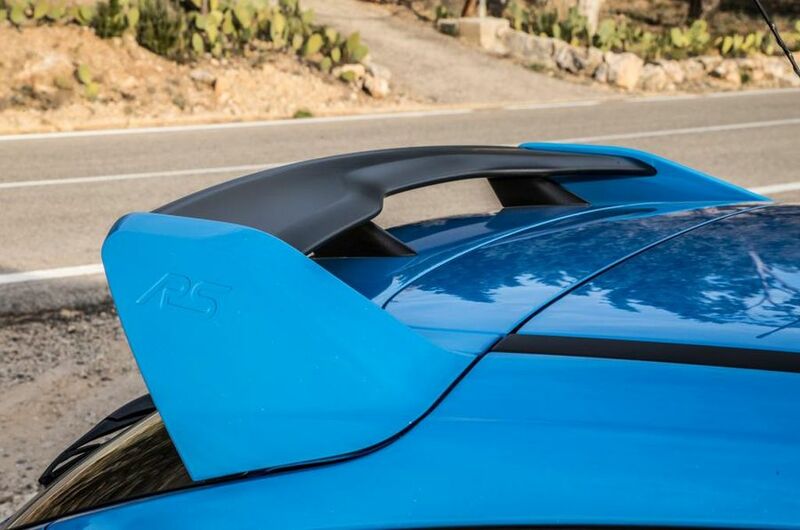 It leans a bit and grips hard and you can feel power being shuffled around to prevent understeer and improve agility. The systems work well. 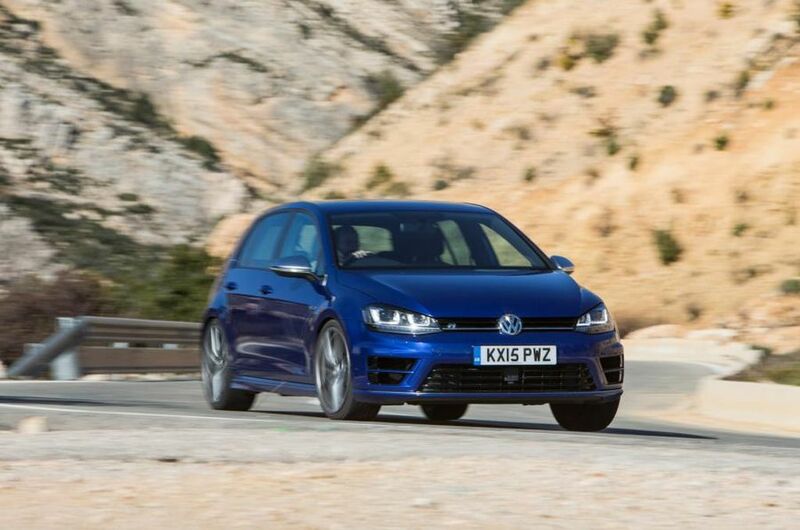 Torque is sent to the rear and the Golf is a masterclass of chassis neutrality. You can make it understeer or oversteer just a tiny bit (on a wet circuit, you can make it do both rather more, obviously), but it is always precise and controlled. It’s adjustable and engaging, too, mind. There’s passable steering feel and the chassis responds to your feet as well as your hands. That’s why it’s a 4.5-star car. It hasn’t come all the way to Spain to get mugged. 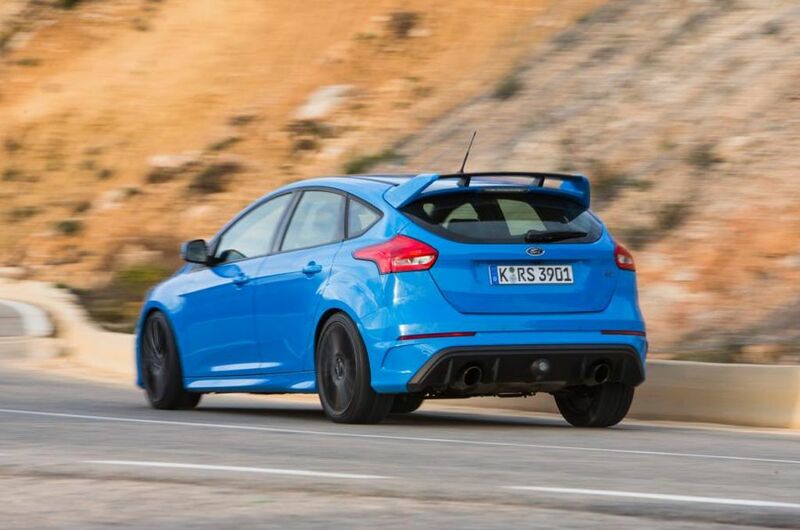 But the way the Focus RS corners is a class apart. It turns with more immediacy, it feels lighter on its toes and more adjustable, and its cornering speeds are outrageous. If you want to corner faster, my suspicion is that not a great deal this side of a Nissan GT-R will allow it. 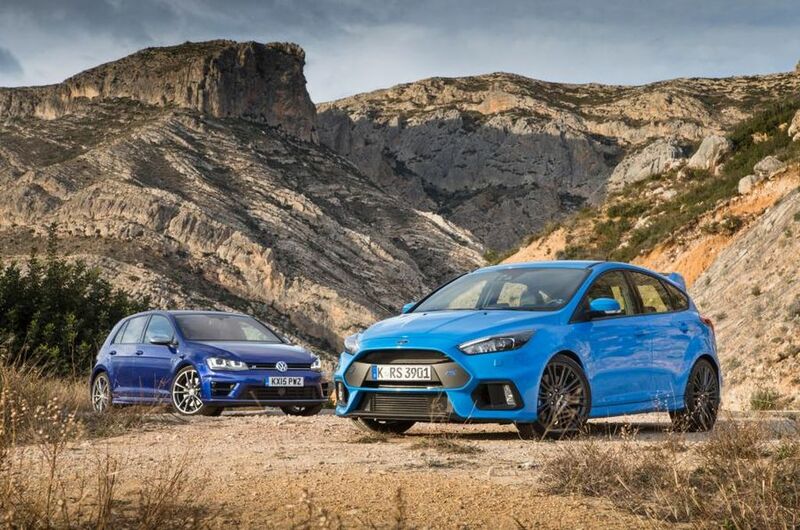 And it leaves an indelible enough impression to give the Focus RS a win over the Golf R – frankly, over almost anything through corners, if that’s the basis on which we’re judging this comparison. 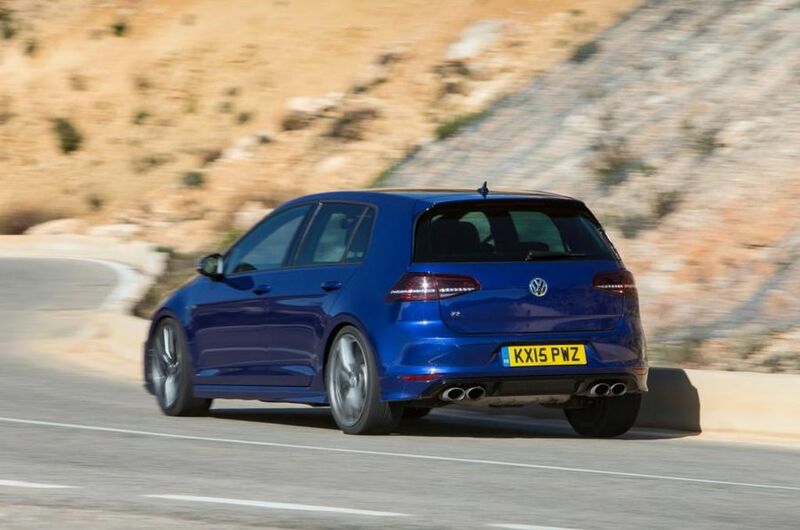 Don’t misunderstand: I’m far from unhappy to climb back into the Golf R for the return leg – probably happier, in fact. As a compromise, as an ownership proposition, the VW still takes a heck of a lot of beating. But as an occasion, as an event, a car for you to simply get into and drive the crackers off of it, the Focus RS is phenomenal.